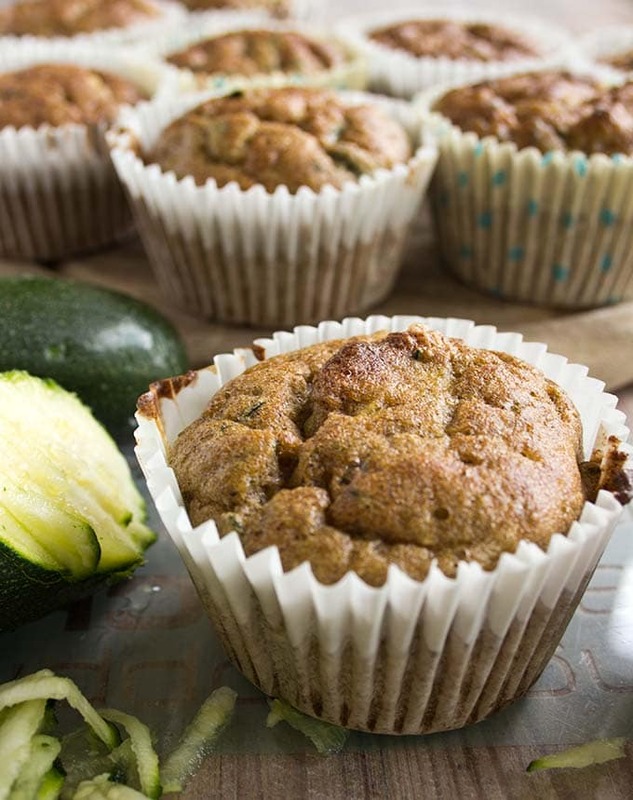 These super healthy low carb zucchini muffins are a tasty snack or grab & go breakfast. Grain free and sugar free! 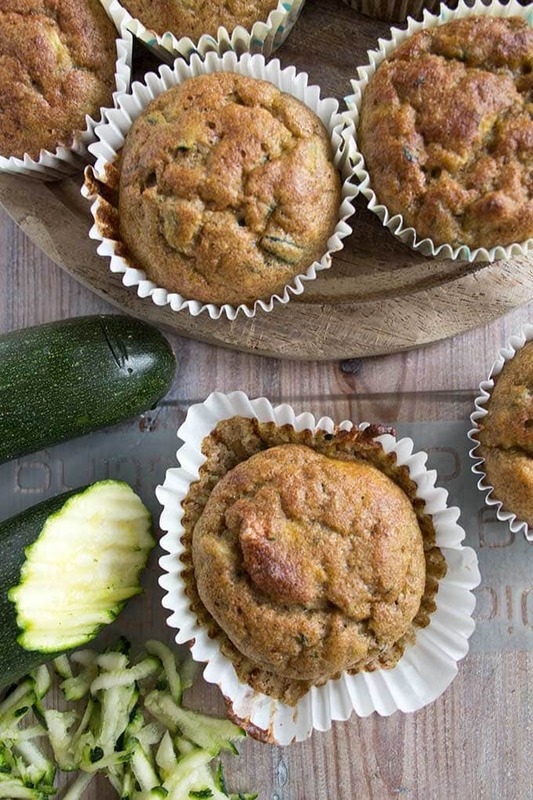 These days, I’ve been thinking about mother’s love (bear with me – I’ll get to these delish healthy zucchini muffins shortly). My daughter has just come back from a week long school trip abroad, during which I made worrying one of my favourite pastimes. The 11-hour-long bus trip. Caving. Rock-climbing. Kayaking through rapids. Imagine all the things that could have happened! Friends, I always thought I was a cool mom (most of the time, at least). And while I tried to keep up that relaxed facade, deep down I did not like her being away one little bit. On a rational level it’s obvious that kids need to find their own way, grow more independent each day and our job as mothers and parents is to let go bit by bit. I remember well those times I used to claim more freedom than I was given when I grew up. When the world starts to open up, you are growing into yourself and you just cannot wait to get older, life just keeps on getting better. No-one had prepared me that growing up is way more difficult for parents than it is for children! On the one hand, the enjoyment and pride of seeing your child mastering life is immense. But there is this darn bittersweet tinge that you just feel you shouldn’t have lurking in the background. That’s the uncool bit us wannabe cool moms try to hide from them. Let’s call it the clingy-clucky-mom-reflex. It can be rather overwhelming! Obviously, there is another way to channel your unconditional mother’s love – through food. Good food! Maybe that’s why I made low carb zucchini muffins today. 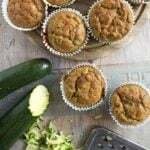 They are basically super duper healthy muffins injected with an extra dose of mother’s love – in the form of grated zucchini. As my regular readers will know well, my muffin pan sees a lot of action. Some of my breakfast favourites are these grab & go low carb muffins and my chocolate banana muffins. I love pure egg muffins such as my slightly confusingly named spinach & chive mini quiches or these chorizo egg muffins. Don’t get me started on the dessert front – the list would be endless. Low carb zucchini muffins are the bomb! Zucchini aka courgette is such an easy-going veggie. I love it in salads, sliced and fried in a little oil and garlic as a side and I hide it in practically any tomato-based sauce. Its slightly sweet, unassuming taste makes it a perfect ingredient in muffins. It gives just the right amount of moisture and, weirdly, FRESHNESS. Not sure whether this is because of KNOWING I’m eaten a vegetable or whether the individual taste is actually shining through. Plus, you get the added benefit of feeling slightly smug/clever for adding a veggie into the mix, a bit like when you make chocolate avocado ice cream. I use cinnamon and nutmeg in this recipe, which works really well. Don’t miss out the nutmeg (unless you truly detest the taste of it). Whilst the zucchini is the secret star, it’s the nutmeg that seeks attention – in all the right ways. 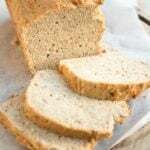 I got the idea from this paleo coconut zucchini bread recipe from Detoxinista. In my first attempt, I used less coconut flour. If you do this, you’ll get a lighter muffin that tastes good, but is ever so slightly on the eggy side. To get your muffin lighter, you can also separate the eggs, whip up the egg whites and fold them in after mixing the rest of dough. And one more note – if you have kids with a keen anti-vegetable radar, simply peel the skin off before grating the zucchini. That way you don’t see the tell-tale green specks when you dig in. 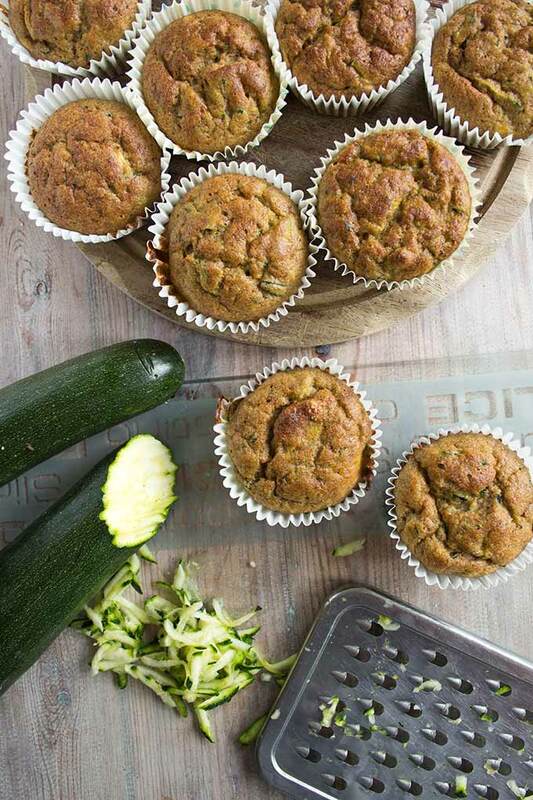 Healthy zucchini muffins – that’s clever mother’s love! 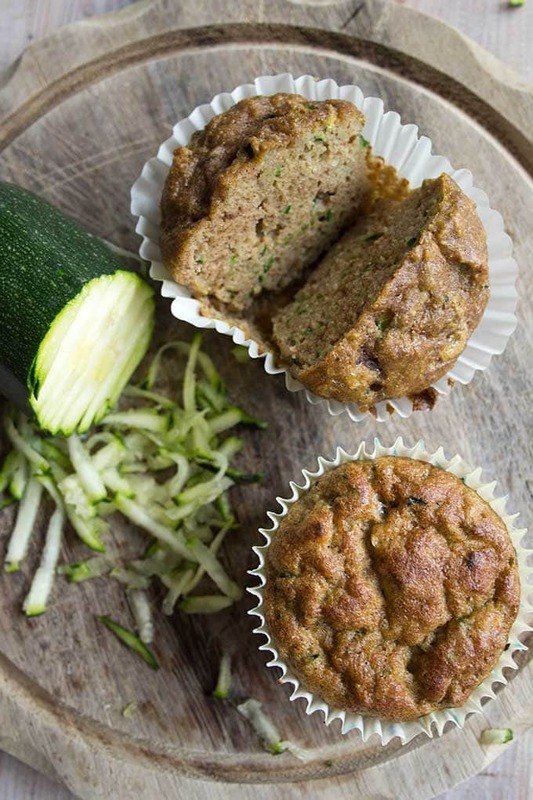 Low carb zucchini muffins are a tasty snack or grab & go breakfast. Grain free and sugar free. Grate the zucchini and melt your coconut oil in a pan or the microwave. If you do not want to see green specks in your muffins, peel the zucchini first. Combine all ingredients except the zucchini in a bowl or a food processor and mix well. Line a muffin pan with paper cups and half-fill each cup with the dough. Bake at 180 Celsius for 25 minutes or until lightly browned on top. 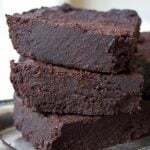 I used both erythritol and liquid stevia in this recipe, because I find that this prevents either taste (the cooling taste of erythritol and the metallic taste of stevia) from coming through. It looks delicious and makes me too hungry. 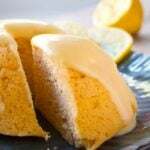 Thank you so much for posting the amazing recipe that can make me stand on the keto diet. Would xylitol work in these? My toddler is on a cure tooth decay protocol and the poor thing really wants a muffin for breakfast. Of course! I like erythritol because it has zero carbs (ant the same benefits for the teeth), but xylitol works just as well. 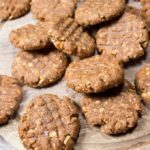 If you don’t want to use the stevia in the recipe, you can replace it with xylitol, too. Really want to give these a try ! Would powdered sweetener work as well ? Yes, but you’d have to use a bit less because granulated sweetener is heavier than powdered sweetener. Just received a bunch of zucchini and wanted to make something yummy and healthy. I knew it was meant to be when you spoke of your daughter. I was just missing my daughter who is off to college. I think you are correct. It’s harder on the mom’s than the kid. Thanks for sharing. Now I know I’m not the only mom who’s trying to be cool and not show all the concerns I have. I just keep praying our Lord is watching over her. Thanks again for sharing. I’m off to make some muffins. Is it possible to sub the coconut oil with melted butter? Thank you! Would avocado oil work instead of coconut oil? Also, almond flour be used in place of the coconut flour? Just made these per the recipe. My daughter and I liked them, but think they could use just a tad more cinnamon and nutmeg. 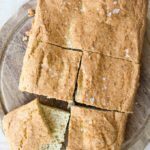 Have never used coconut flour, but was willing to give it a try to get low carb, and we liked it. Mine looked just like the pictures above, but I did have to fill them more than halfway as suggested. Hi Joanne, great you enjoyed them. 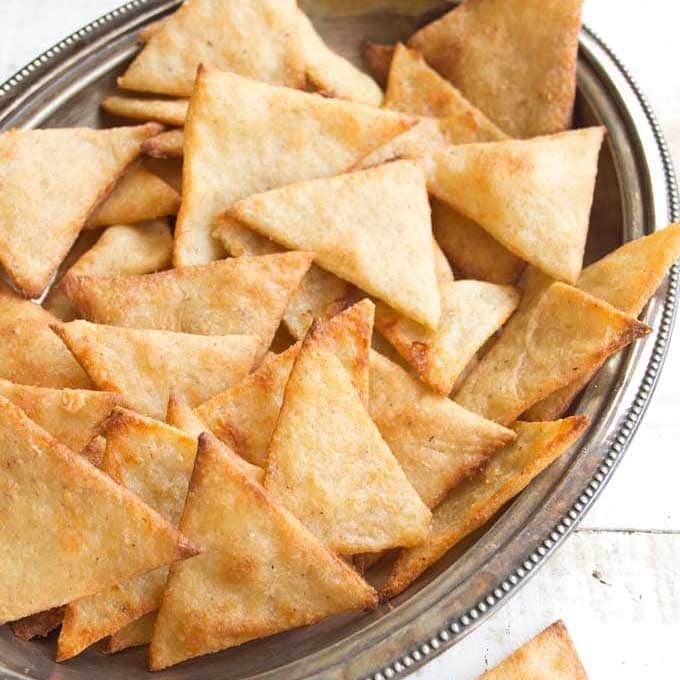 Coconut flour can be tricky – just a little too much and everything ends up dry. Too little = eggy taste! It’s brilliant though when the amount is right. And thanks for your input regarding the spices – a good reminder for everyone to always taste the batter/dough to make sure it’s perfect for you. Made these muffins today … they don’t quite look like the picture but i do love the taste. Added chopped walnuts for crunch and, topped with butter, these are yummy! Thanks for an awesome recipe! Hi Ive literally JUST made these and unfortunately they did not rise and look nowhere near like yours 🙁 I used gram measurements and omitted the sweetener, used 70% dark chocolate instead…What could I have done wrong? There’s a comment below where he says he was able to make a slight ball out of them before baking. The consistency of mine were the same as his I guess…it was more like a wet dough, but one you can form. I’ve got a photo of leftover batter that I wasn’t able to fit in the muffin cups. Hi there, it’s always difficult to say when you’re not there. I made these a while ago now but am pretty sure the dough was more pour-able than form-able, like regular muffin dough. I remember that I made them with less coconut flour the first time round and the dough was more liquid then, but the result was a bit too eggy. The second try I added more coconut flour and liked it much better. Hi Katrin! This seems amazing. I’ve had zucchini muffins before and am trying to replicate that great low-carb no sugar taste again. However. my supermarket does not carry erythritol or xylitol. What should i do? Can I replace these two with anything as healthy? My batter turned out very thick and on the dry side. Consequently I had to jput balls of dough in muffin tin. They did not shape up like muffins when they were baked. What did I do wrong? Hello Scott, sorry to hear that! It must have something to do with the amounts you used. I don’t know if you measured your ingredients in cups or grams. 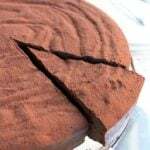 Coconut flour is really absorbent, so you could have used too much of it or maybe you did not pack the grated zucchini and therefore you had to little of that? The batter should not have ended up hard enough to form a ball. Tell me, so we can get to the bottom of it! 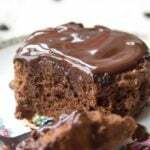 I just made these with a few alterations and they are delicious!!! I added 1 tablespoon of cream cheese and 1 tablespoon of butter. Instead of the sweetners you called for I used 8 packets of Splenda because I didn’t have anything else. The best part? My carboholic boyfriend really likes them too! I’m doing keto and it is rare that he likes my substitutions. A good friend of mine has recently been diagnosed with cancer and is radically re-examining her diet. I’m sure these muffins will be on the list of things she IS allowed to eat! I’ll let you know when she’s sampled them. Next week, I am hosting a children’s party at the stables where I keep my horse ; lots of good old-fashioned fun, e.g. treasure hunt (for carrots! ), wheelbarrow races, and the inevitable water-pistol fights – the guests are predominantly boys aged 8-12. These muffins will be served at tea, or should I say “wolfed down”! And did you know ALDI is showcasing foods made from coconut this week? How timely! I shall be popping down later today to stock up for my baking session. Looks like a great recipe, and a perfect way to trick the kids (and yourself) into eating more greens! 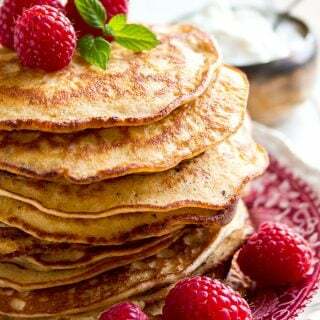 Love the combination of coconut flour and cinnamon – must make for a really complex flavour that’s so needed for a low sugar diet! Sounds lovely with a good coffee or cup of tea. Thank you Tabitha. For me it’s the nutmeg that really makes the recipe. And you are so right, they are perfect with coffee. What would we do without coffee?? Definitely making these. Zuchinni overload in the vegetable garden. I plan on substituting the sweeteners with our wonderful Canadian maple syrup. It is a terrific all natural sweetener. I will let you know how they turn out. I have an idea about adding 1/2 tsp of Xanthum Gum; i have been told this adds the chewiness to recipes..any experience with this. So as i add it up, each muffin contains 2.3 net carbs? Made these last night! Great muffin base as they are very moist, and have the texture of a regular wheat flour based muffin. However, I do feel they are a little on the bland side, so next time I will throw in a few sugar free chocolate chips to sweeten them up a bit. 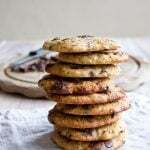 Do you think I use almond flour in this recipe instead? You can, but you’d have to adjust the quantity and use more almond flour as it is less absorbent. I haven’t tried this, but I’d probably try using twice the amount of almond flour or ground almonds. These look so yummy! And good idea to peel the courgettes. My kids are definitely not ready for knowingly eating vegetables in their muffins. Nice one! Can’t wait to try this recipe. Let me know how you get on with them Marigold! 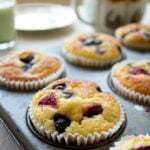 I am so making these muffins! They look delicious. Thank you Sarah! I really hope you’ll like them as much as we did.